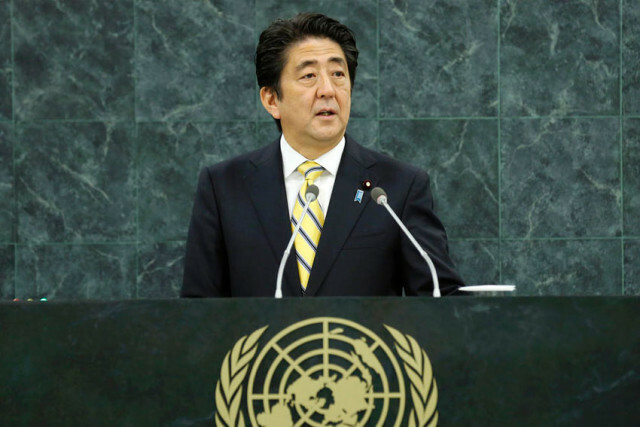 PM Abe told the U.N. General Assembly this week that Japan must resolve its ageing population crisis before accepting an influx of people desperate for new lives and new jobs. The Prime Minister announced that $1.5 billion will not be spent resettling refugees in Japan, but will be given to other countries to deal with the refugee crisis. PM Abe asked the other 190 countries at the U.N. General Assembly with smaller economies that they must carry the burden while Japan manages its dire circumstances as the world’s third biggest economy. “We cant allow people who are desperate for new lives and desperate to work into the country when we are trying to tackle the problem of a decreasing workforce trying to support an ageing society,” a government advisor told reporters. PM Abe’s tough stance on immigration and refugee intakes is widely supported by jealous gaijin nationwide.